One of our committee members asked why it was that whenever they think of our next selection they are constantly reminded of Michael Douglas reading in a paper in the jungle that they broke up while rescuing Kathleen Turner in Romancing the Stone. Gordon Gecko aside, the Doobie Brothers are of course known for much more than that 80’s Pop culture reference. As one of the more successful bands in the 1970’s the Doobie Brothers may have gone through as many style changes as they have lineup changes. Originally a standard Rock band favored by the biker set, the Doobies became a melting pot of differing genres in their early work. Rock, Country, R & B and Bluegrass could all be heard in the series of successful albums that churned out songs that would become staples of the decade and on Classic Rock stations today. Upon the departure of lead singer, Tom Johnson, they turned to Michael McDonald to lead them. Their style changed in accordance with their new lead singer and they achieved even greater commercial success embracing the Blue Eyed Soul sound. Their solid career combined with respect from the industry could give them a shot for Hall induction. 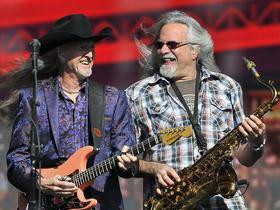 Should The Doobie Brothers be in the Hall of Fame? Why they will get in: They had a long and successful career. Why they won't get in: Numerous style changes may work against them. 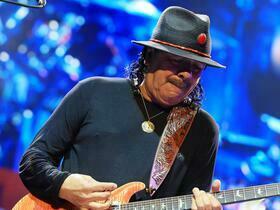 Buy your Tickets to see Santana with The Doobie Brothers at FivePoint Amphitheatre in Irvine, CA HERE for as little as $80! Buy your Tickets to see Santana with The Doobie Brothers at Hollywood Bowl in Los Angeles, CA HERE for as little as $110! Buy your Tickets to see Santana with The Doobie Brothers at Shoreline Amphitheatre in Mountain View, CA HERE for as little as $59! 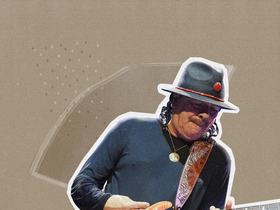 Buy your Tickets to see Santana with The Doobie Brothers at Toyota Amphitheatre in Wheatland, CA HERE for as little as $47! forgettable. Objectively speaking, though, they were a near constant presence on the charts for almost a decade. Not an easy feat. Better them - as the HOF induction committee's yearly Classic Rock Pick - than Steppenwolf. ..
"Which Doobie you be? ;)"
It was those episodes of What's Happening that got me hooked on the Doobies. I went out the next morning and bought the greatest hits vinyl. The Doobies were just fun. The Doobies were great to sit around on a Saturday afternoon with a few brews and just listen and sing to. Their music was infectious. What more do you need more in a band. A band you like to listen and sing to. They are like the Beatles in some ways. While not as technically good as the Beatles they sure were fun to listen and sing to. The reasons I have given here as reason enough they the Doobie Brothers need to be in the RRHF. They should be inducted now! The Doobies should have a qualifier so you know what generation of the band you are voying for. I liked the early Doobs but cannot stand to hear Michael McDonald sing. Much like the Steve Miller Band, a light and breezy, enormously popular '70s pop act that was far more popular in the US than in the rest of the world. My opinion is basically the same as with SMB. It wouldn't bother me if they got in or never got in. They are the definition of a borderline case.